Aurora, Colo. (June 5, 2018) – World-renowned Children's Hospital Colorado (Children's Colorado) Pediatric Surgeon Dr. Alberto Peña has been named the recipient of the 2018 American Pediatric Surgical Association (ASPA) Robert E. Gross Award for Excellence in Pediatric Research and Achievement. Dr. Peña also has been selected as the 2018 recipient of the Sir Denis Browne Gold Medal from the British Association of Pediatric Surgeons, to be conferred at their July annual meeting in England. Both awards recognize a distinctive contribution by an individual who has made a major impact on pediatric surgery worldwide. Dr. Peña's contributions have focused on improvements in medical and surgical care for patients suffering with anorectal malformations, cloacal malformations and a variety of other congenital anomalies of the pelvis, abdominal wall, Hirschsprung's disease and associated urological, gynecologic and other abdominopelvic malformations. Dr. Peña transformed colorectal treatment by introducing the posterior sagittal anorectoplasty (PSARP), also known as the "Peña Pull-Through" procedure. This method is widely used by top surgeons all over the world and has since been adapted to treat multiple conditions. He also has focused on the common problem of constipation, incontinence and other intestinal motility issues that are common consequences in children with these malformations. 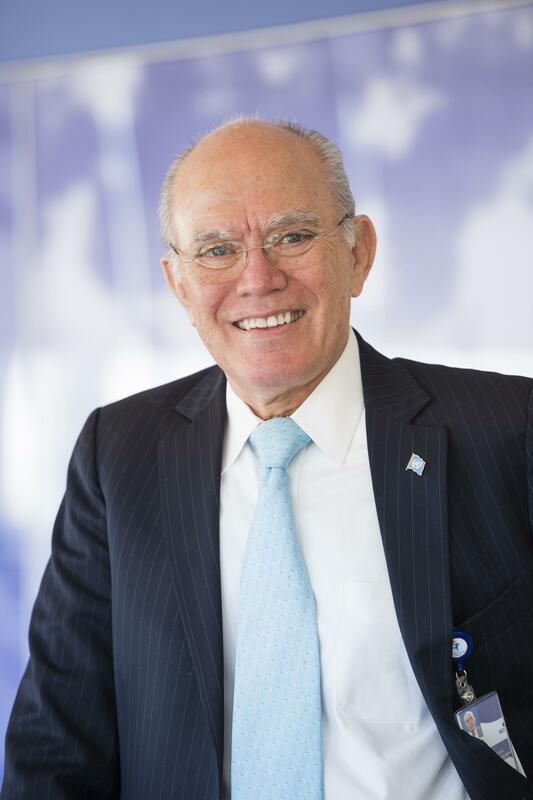 Dr. Peña's contributions have resulted in a major change in how pediatric surgeons manage congenital colorectal disorders, and the results of his approaches to these problems have been widely accepted by the global pediatric community as the "standard of practice." "I feel extremely honored to have been chosen as a recipient of the 2018 Robert E. Gross Award and as the 2018 recipient of the Sir Denis Browne Gold Medal," said Dr. Peña. "Throughout the course of my career, I've discovered that pediatric surgery is the most curative of all surgical specialties. I am personally aware of the suffering parents of children born with congenital anomalies go through and have made it a priority to spend attentive time and effort to console and reassure the parents of my patients. I am incredibly proud of this research and the continued efforts of my team at Children's Colorado. I am grateful for the Board of Governors of the American Pediatric Surgical Association and to the British Association of Pediatric Surgeons for these honors." Dr. Peña was presented with the APSA Robert E. Gross Award for Excellence in Pediatric Research and Achievement during the 2018 APSA Annual Meeting in Palm Desert, Calif. on May 3-6 by the APSA president, Dr. Henri Ford. Finally, Dr. Peña recently received an investiture of The Ponzio Family Chair for Colorectal Surgery. The investiture is one of the highest honors that Children's Colorado can bestow on a faculty or staff member, and it lives in perpetuity as long as the hospital exists. It is both an honor to the named holder of the endowed chair and an enduring tribute to the donor's philanthropic vision and leadership. Investitures are a celebration of an endowed chair and honor a donor's generosity and impact their gift will bring to the hospital. In addition to his recent awards, Dr. Peña has been the recipient of the highest honors given by national and international organizations including the COE Medal by the Pacific Association of Pediatric Surgeons in 2002; the William Ladd Medal by the American Academy of Pediatrics in 2008; the Rehbein Medal by the European Association of Pediatric Surgeons in 2015; and the Kafka Medal by the Czech Association of Pediatric Surgery in 2016.